Posted on 15th November 2013 at 2:38 pm. Noise levels near airports are a headache for local residents and also one of the biggest factors in the controversy of whether Heathrow should get a third runway. This summer the Fly Quiet survey tested noise levels from fifty airlines using Heathrow over the period July to September, with a view to naming and shaming the worst offenders. The ignominy of noisiest airline went to the Polish carrier LOT, with Israel’s El Al and Thai Airways coming close behind. Can Couriers really be cheaper than checking-in luggage? Posted on 29th August 2013 at 4:12 pm. If you are happy to travel light there are some great bargain airfares to be found with the budget airlines and you avoid checking-in luggage. However, if you are travelling as a family, or have sports equipment that you need at your destination, it is sometimes just not possible to avoid checking luggage into the hold and that is where the charges start to add up. With some airlines charging passengers £35 to check-in a suitcase and an eye-watering £500 to carry a bag of golf clubs weighing up to 30kg, it should perhaps come as no surprise that it is often cheaper to use a courier service. 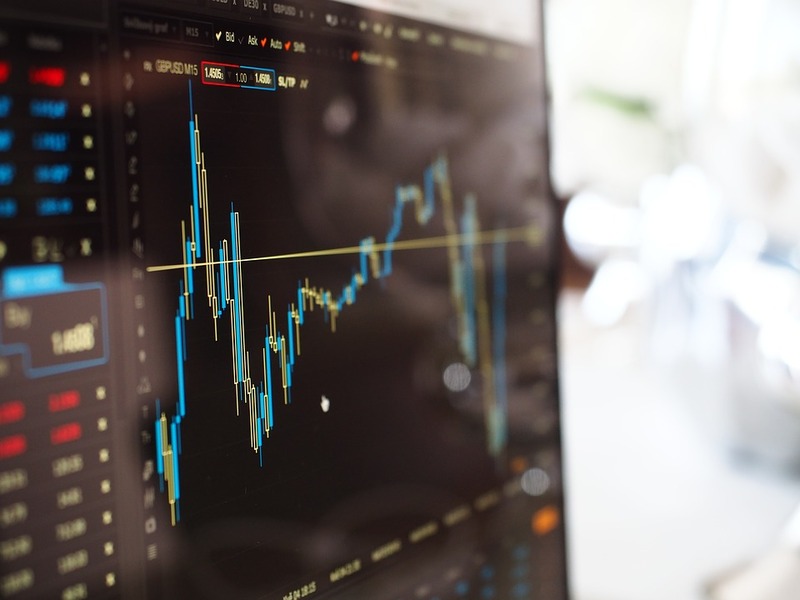 Crazy though it sounds, passengers can save hundreds of pounds by using services such as FetchMy or MyParcelDelivery to transport their baggage to their holiday destination. At the weekend the press found various examples of the savings that could be made on travelling with and checking-in luggage, taken from research carried out by Which? magazine. For instance, a golfer travelling on Ryanair from London to Malaga could pay as little as £140 using a courier, as compared to the £500 charged by the airline. If the passenger were flying with FlyBe the saving would be £196. Savings of various amounts would also be made if travelling with Jet2, Monarch or Thomson. Looking at suitcases, the savings are less. A passenger travelling to Rome would save £12 (£23 by courier as opposed to the £35 charged by Ryanair). The downside of using a courier service is that it will normally take at least three working days for the baggage to arrive and not all hotels will be able or willing to accept delivery. Posted on 24th May 2013 at 11:01 am. Heathrow is looking at areas in rural Buckinghamshire and Berkshire for possible expansion of its west London base. Having faced strong opposition to expansion of the existing site over aircraft noise, the airport is doubtless looking for a softer target, a fact that will be seen as a major victory by activists. Posted on 28th March 2013 at 1:00 pm. In 2012, 70 million passengers passed through Heathrow Airport, a figure that was 0.9% higher than in 2011. In the UK as a whole, 221 million passengers used the airports, a 0.6% increase compared to the preceding year, according to the Civil Aviation Authority (CAA). Posted on 12th February 2013 at 3:45 pm. Heathrow is planning a £3 billion investment programme that could lead to a rise in airline charges, according to The Telegraph. The paper reports that as a result of the investment, charges are likely to go up above inflation. Posted on 22nd June 2012 at 4:10 pm. Work on a new terminal at Heathrow has been completed in time for the Olympic Games. The terminal has been designed exclusively for athletes and officials of the Games, the majority of whom will be returning during a three-day window from August 12 to August 15, in order to take the pressure off the airport and reduce passenger congestion. Posted on 15th December 2010 at 10:12 am. In the UK, the past two winters have caused chaos at airports, on motorways, and just about everywhere else, as heavy snows and freezing temperatures descended on the country in December, January, and February. In short, we all hate it when the weather disrupts flight from Heathrow. This year, despite the lessons of previous winters, Britain is still strangely unable to cope with snow and ice. The exception to the rule is perhaps London’s first airport, Heathrow. The hub recently spent £500,000 on ‘winter-proofing’ the runway. The shopping spree, which included the purchase of snowploughs and de-icing machines, is a response to snow-related closures in the winter of 2008. Heathrow now has 69 vehicles on its Snow Team (including the new Heathrow Snowploughs), with 500,000 litres of de-icing fluid at their disposal. The team appears to be an enhanced maintenance crew, enjoying mundane duties, such as cleaning debris from the runway, as well as specialist winter tasks, like scrubbing snow from the apron. David Whittington, chief of airside operations at the London airport, noted that runways are always cleared first, followed by taxiways. “We’ve got up to 200 aircraft coming toward Heathrow at any one time, so we have to make sure that we have a platform for them to land on." 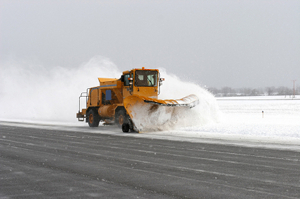 Aircraft are also employed to clear snow from the runway. 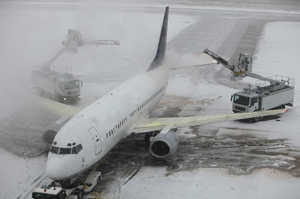 The engines of departing planes produce a great deal of heat, which can melt icy patches in seconds. However, planes will not normally be allowed to take off if weather conditions present a serious threat to life and wing, ensuring that this tactic can only be used in minor flurries. Heathrow claims to be the only UK hub not to experience closures in winter 2009, and the airport is still performing admirably against Mother Nature, surviving the recent snowstorm without closing its doors. However, with 3 months of winter still waiting on the other side of the calendar, the Snow Team is likely to have its mettle tested on more than one occasion before the daffodils reappear in the spring. Posted on 26th November 2010 at 10:47 am. Disembarking your flight to discover that your suitcase has been sent to an airport in Moldova is arguably the worst thing that can happen to an air traveller, unless you were at Heathrow Airport on November 7. Posted on 21st October 2010 at 4:03 pm. We have all heard of finger printing and iris recognition being used instead of the good old passport photo to combat security threats and illegal immigration problems at British airports. Now scientists at Southampton University’s school of electronics and computer science have suggested that our ears may provide an even more reliable means of ID, with an accuracy rate of 99.6%. Each one of us has a uniquely shaped ear and it is now possible to scan them accurately and compare them with a database of images. The technology works by mapping features of the ear such as wrinkles, curves, cartilage, and lobes using something called "image ray transform". All UK passports now have enough space to hold biometric information, so it would be possible to add details of holders’ ears if this method were to be introduced. Stansted airport has been conducting trials of facial recognition and retina scanning over the last two years but has encountered several problems. Technology cannot cope with facial expressions or even, in some instances, make up, whilst crow’s feet can also be a major problem. Ears on the other hand (and no pun is intended here) apparently “age gracefully”. Your ears stay the same shape from birth, apart from the fact that they grow proportionately as you age and the lobes elongate slightly. Whilst Professor Mark Nixon of Southampton University is very excited about the discovery, the Home Office is being a little more cautious, saying that whilst they welcome new and innovative technology, there are no set plans at the moment to pursue the idea at British airports. Posted on 8th October 2010 at 2:22 pm. Heathrow airport always seems to be in the news lately! Much of the recent news comes down to the dispute over the highly contentious third runway that has been rejected by the government. Now the chairman of BAA, Sir Nigel Rudd, has added his two cents worth by saying that the Conservative Party’s policy on the airport to refuse a third runway will see Heathrow become a “second-tier airport” in the future. There is no room for ambiguity with this description, and Sir Nigel Rudd added that London will become “less competitive” as a result of the decision to keep Heathrow operating with just two runways. The remarks were made in an interview with the Sunday Telegraph, where he said that the decision of the government “is sadly based on small-town politics of the ballot box rather than strategic needs of the nation". Rudd is just starting his second term as the chairman of BAA, and clearly his comments have been designed to create an impact as he kicks off his second three-year stint. He is absolutely adamant that Heathrow needs to expand, claiming that the UK as a whole will receive fewer international passengers as a result of the decision whilst other international airports in Europe continue to expand. The proposed third runway at Heathrow divided the nation with fierce opponents and equally fierce supporters fighting it out on both sides. The opponents claim that with the government taking global warming seriously it cannot possibly expand airports like Heathrow because this is not going to do the environment any favours. Although the decision has been made, it seems that this is an argument that is going to be around for a long time to come.